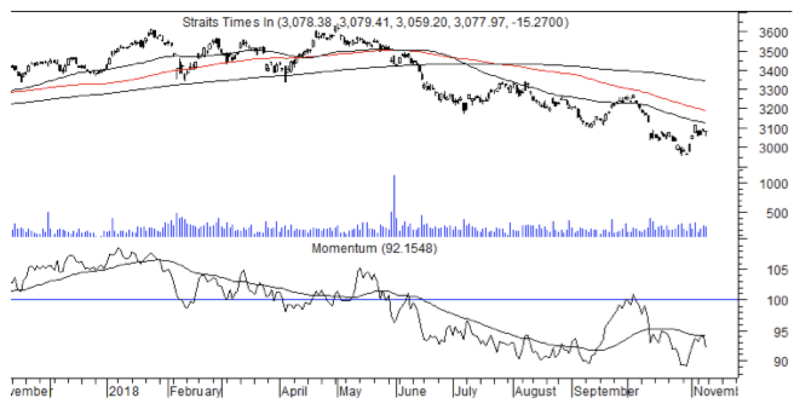 SINGAPORE (Nov 9): The Straits Times Index approached its declining 50-day moving average when the moving average was at 3,141 and the index closed at 3,116 on Nov 2. However, the STI has since retreated. The 50-day moving average is currently at 3,131. Quarterly momentum has faded somewhat. It remains in negative territory, and could ease from its current level. 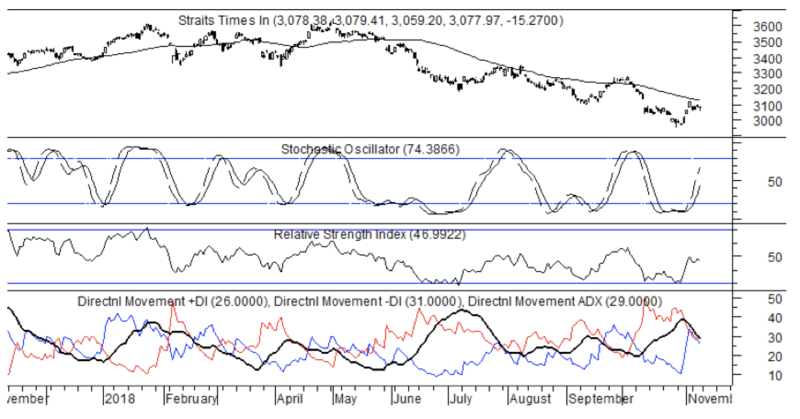 Short term stochastics is likely to rise further; 21-day STI is likely to rise as well. ADX is falling, and the DIs are neutral suggesting that the strong downtrend is over for the time being, and the index is likely to move into a sideways range. Since quarterly momentum is weak, but short term indicators are rising, the STI could inch higher, towards 3,131. 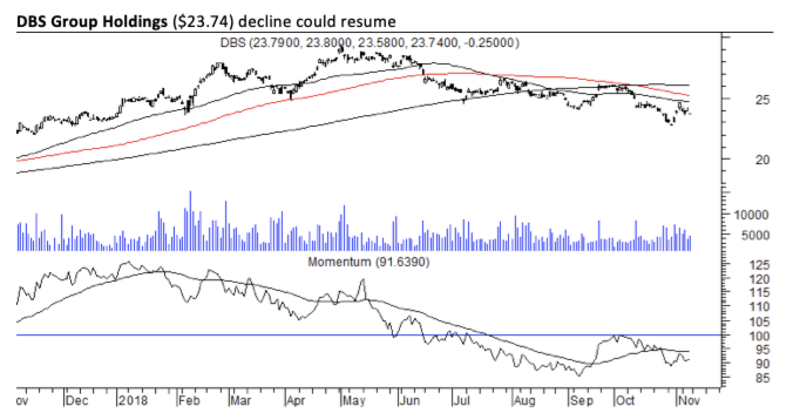 Annual momentum continues its downtrend, limiting the extent of rebounds, and the index is likely to resume its downtrend. Support has been established at 2,966 but this is likely to give way as prices make their way to 2,800. Although this stock has experienced a rebound, the move is temporary. In the near term, prices are likely to encounter resistance at $24.19. The downtrend is likely to resume soon. Immediate support appears at $22.80, and the eventual downside is likely to be at $20. Volume has been rising for this counter as prices firmed. This is an indication of demand buying. In addition, quarterly momentum has strengthened; short term stochastics has turned up, and 21-day RSI is poised for an upmove. These indicators suggest further upside for the stock. However, the $1 level could provide psychological resistance.